The Yazidis are one of the world’s oldest religious communities. They are a religious minority in northern Iraq, northern Syria and south-eastern Turkey. After centuries of constant threat, they are now facing annihilation at the hands of ISIS terrorists. Half a million Yazidis are fleeing from ISIS. For the Muslim terrorists, Yazidis are devil-worshippers who must be forced to convert or be killed. Over 5,000 Yazidis have brutally fallen victim to this crusade – the estimated number of unreported cases is even higher. The Yazidis are one of the world’s oldest religious communities. They are a religious minority in northern Iraq, northern Syria and south-eastern Turkey. After centuries of constant threat, they are now facing annihilation at the hands of IS terrorists. Half a million Yazidis are fleeing from the IS. For the Muslim terrorists, Yazidis are devil-worshippers who must be forced to convert or be killed. Over 5,000 Yazidis have brutally fallen victim to this crusade – the estimated number of unreported cases is even higher. Yazidism is a monotheistic and non-missionary religion. It is passed on through songs, customs and through word of mouth, but not through a holy scripture. Membership is passed on through birth. At the center of the Yezidi faith is Melek Taus as Peacock Angel and the Seven Mysteries. One can only be born as a Yazidi. As a result of the constant persecution over the centuries, many Yazidis live in the Diaspora. The war affects them and the Yazidis in Germany and other countries in the world. Many of them are living here while their relatives are dying in northern Iraq or Syria. HAWAR.help stands for efforts to create a world in which each individual can express themselves confidently and safely regardless of their gender, ethnicity or religion. A world in which human rights are respected and brought to life with mutual tolerance. A world in which people can grasp opportunities through education and an open-minded society and develop themselves for the benefit of the community. HAWAR.help will provide help where humanitarian aid is required because people − for whatever reason − are experiencing persecution. Hawar.help will spread information about the situation of the persecuted to increase awareness in society of conflicts and the living situations of such people and become actively involved in discussions about possible solutions. Hawar.help will support the opportunities of those being persecuted with regard to education and their participation in society. HAWAR.help is guided in its work by humanitarianism, communication and tolerance. In everything it does, HAWAR.help stands firm to the fundamental values of Germany and Western societies. 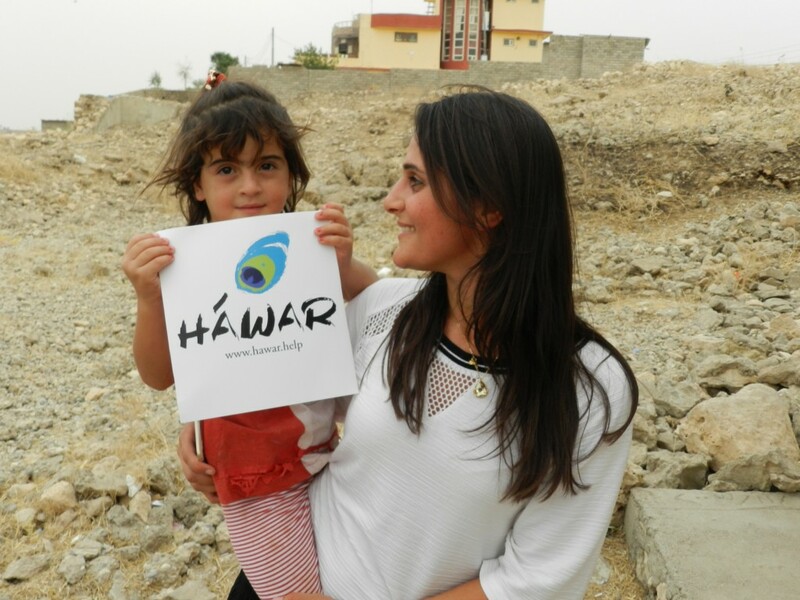 HAWAR.help is a non-profit organization and makes targeted and effective use of the funds entrusted to it.